I used a box mix to make brownies...if you wanna be all overachieving baker over there go right ahead and make them homemade. Either or. Let them cool completely - I put mine in the fridge for an hour before the next step. 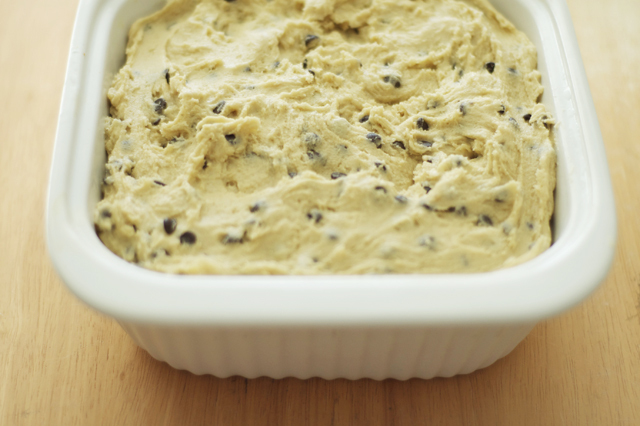 I used this chocolate chip cookie dough without eggs recipe (no salmonella for me!). 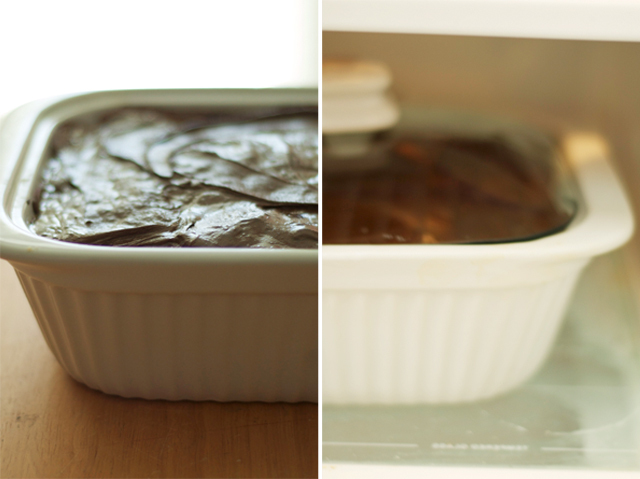 Cover the cooled brownies completely. Heat chocolate chips in 30 second intervals, stirring in between, until chocolate chips are perfectly warm and melty. 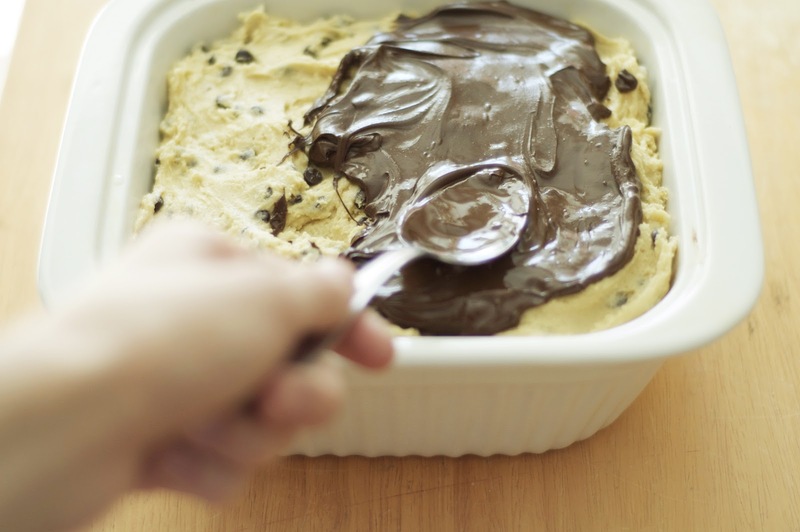 Use the back of a spoon to smother the chocolate chip cookie dough layer completely. 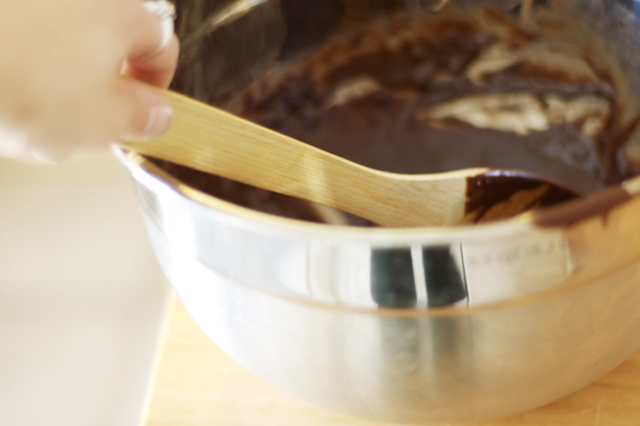 Once completely covered, pop it in the fridge for a few hours until the chocolate coating has hardened. This sounds so good. Did you invent this desert on your own? I think I will need to try this soon. This recipe looks so good! I'm definitely going to have to try it! mmm this looks delicious! I will definitely try it out! Came across your blog just now and I love it!